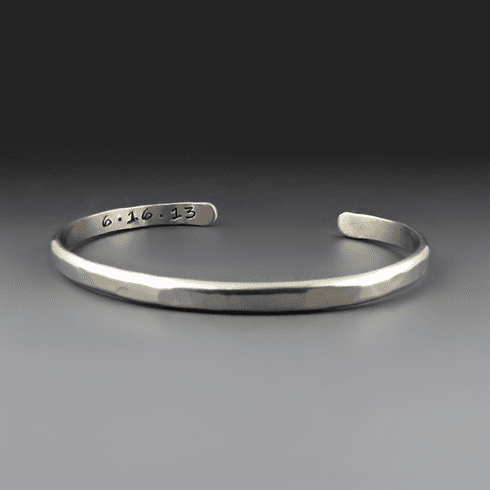 Gift or wear this personalized masculine Men's Hammered Cuff Bracelet. Made from your choice of Nickel Silver OR Sterling Silver. It is the perfect layering piece. Great to wear with a leather cuff or watch.